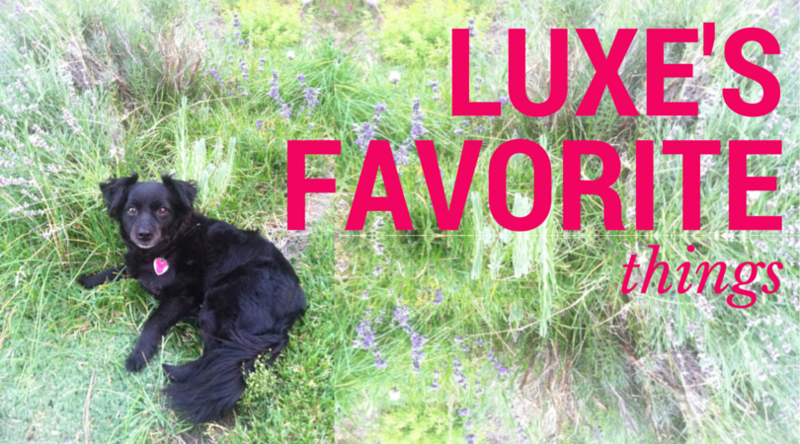 The more time I spend with Luxe, the more I notice that she's almost as particular as I am about what she likes. For instance, she will only eat her dog food when she gets really hungry because otherwise she's holding out for some real food; and she much prefers my fancy throw pillows to her bed. 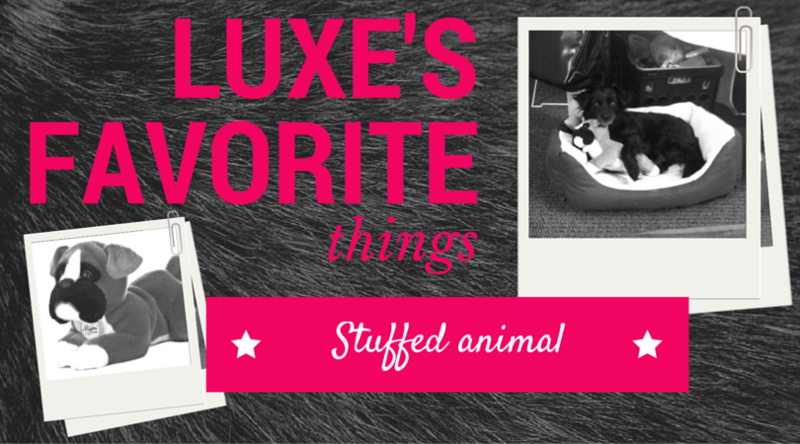 What are some more of Luxe's favorite things? This is actually one of my favorite things, as I mentioned in this post. 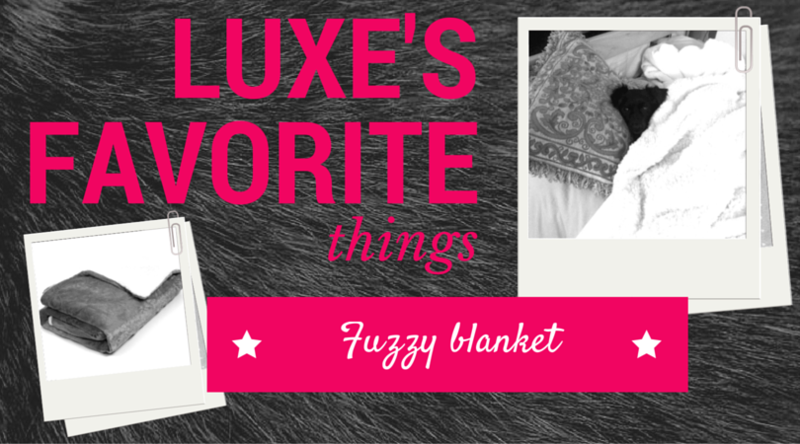 More often than not, whenever I bring out my fuzzy blanket Luxe comes running to snuggle up in it. My sister makes fun of me for having ordered such a blinged out accessory for my dog. I think it's awesome. 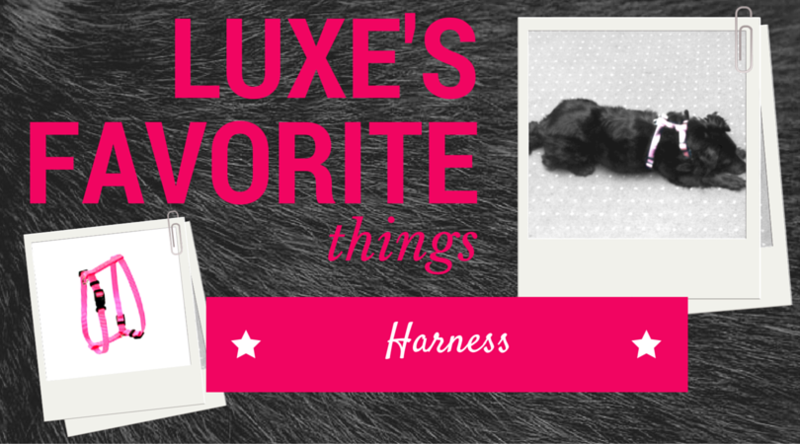 Luxe knows it's time for a walk when I get her little pink harness out. She jumps around and gets all excited– it's so cute! 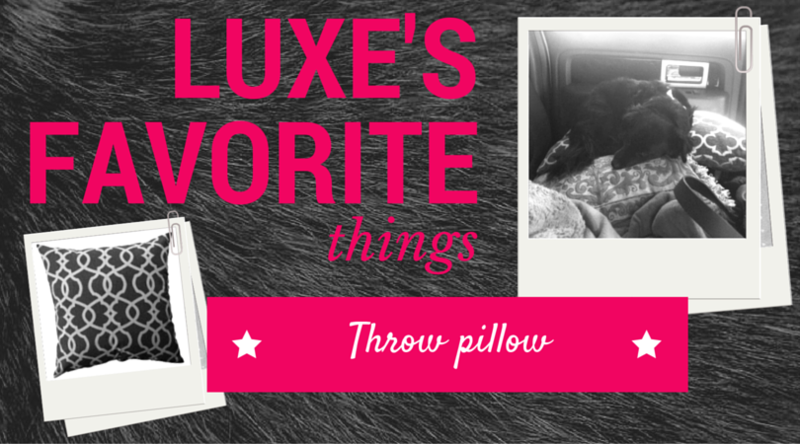 Luxe has 2 beds in our dorm room, but still she prefers my throw pillows. What a fancy lil dog. My sister actually gifted this to me last year when I was missing our family dog. "Lil Puppy" looks exactly like Brandi, and Luxe cuddles up to her when she misses her adoptive sister. 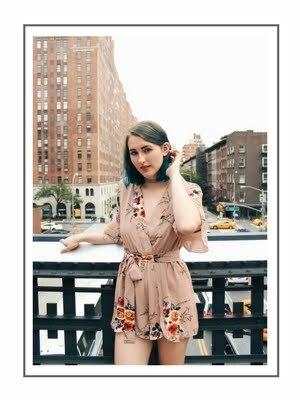 You can read more about Luxe in her Her Campus Campus Cutie feature!